Meet Mr. Charles Walter, CEO of the company which bears his name. I had the privilege of speaking with him both at the last music trade show (NAMM 2016) and also a few days ago. I enjoy meeting those who are directly involved not only in piano make-up and design but those who are living legends. 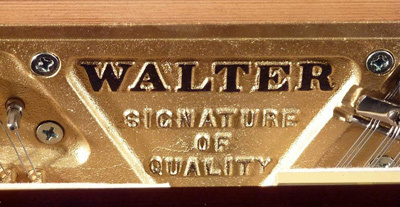 The Walter Piano Company is the oldest family run American piano company in existence today. And when I say family run, I mean that each of the Charles Walter pianos that come out of the production facility has been manufactured in part by members of the Walter family. 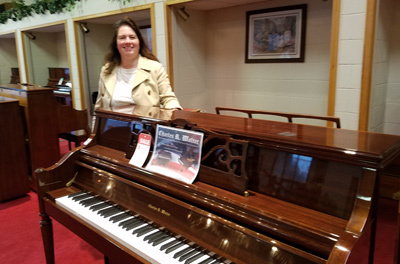 Since the founding of their company they’ve had more than 25 family members spanning 3 generations working at Walter Piano.Never heard of the Charles Walter piano? In the masses of pianos produced each year, there is a handful of what I would call “boutique” manufacturers that produce hundreds of pianos instead of tens of thousands. 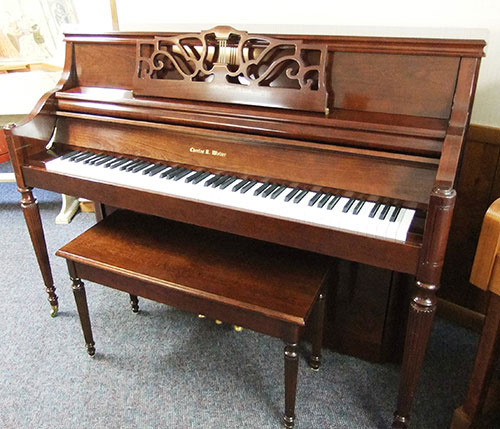 The Walter piano company is one such maker. They are completely hand built instruments and require sometimes months to complete each piece. But rather than telling you about Walter Piano, let’s hear the words from Charles himself and how this company came into existence. 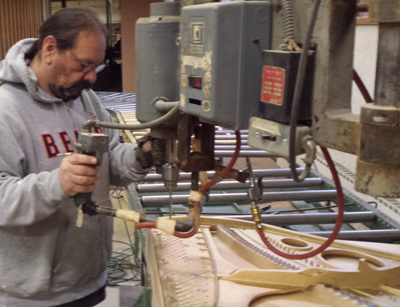 Glen Barkman: How did you get into the piano making business? Charles Walter: Well, I graduated with a degree in engineering physics from the University of Illinois and some years later I was hired by a company called C.G. Conn. Many people know them as an organ maker and my first job with the company wasn’t actually working with pianos. I was hired to work under Dr. Earle Kent, who was a true inventor for Conn. They had asked me to build something called a “beat counter” – an electronic frequency device. Back in that day, Dr. Kent was given the opportunity to have a research facility. GB: I did some background reading on Dr. Earle Kent and was surprised to find out that he held over 28 patents relating to sound and music! He seemed passionate about exploration and development as well as the science of sound. CW: Yes and it was while I was working for him that I was transferred to piano research with soundboards. 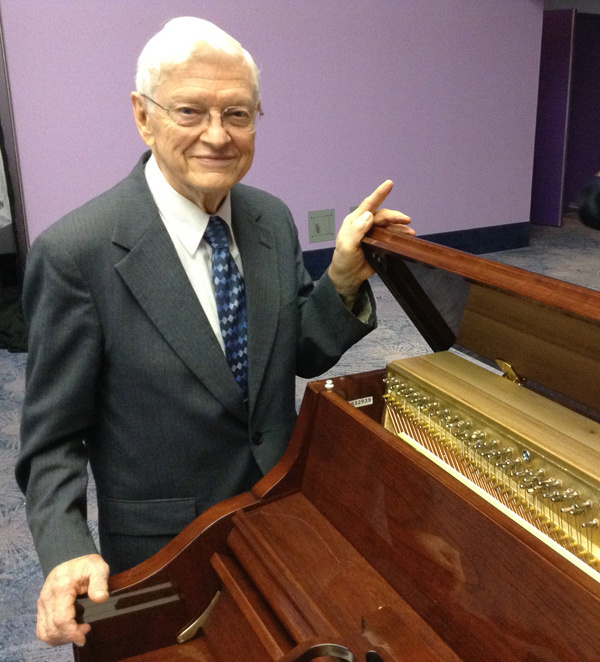 In 1964, Conn had purchased the Janssen piano company in New York. But to make a long story short, Conn hadn’t been doing well financially and the opportunity presented itself to purchase the piano division in 1970. And those were the beginnings of the Walter Piano Company. GB: And so how does one go about establishing a piano company? CW: We moved into a 102 year old building in Elkhart, Indiana. The building was previously used for making the Elkhart Automobile. Starting out the company meant long hours. There was a lot of work to be done and at the same time we were raising a family. GB: Rachel, you were born and raised with full knowledge of the factory and now are Vice President for Walter Piano correct? Rachel DeMercurio (nee Walter): Yes, I grew up spending a lot of time at the factory and remember many a night when my parents were working those long hours, they would put us to bed on the showroom floor. CW: Yes it was actually her idea. We started out on one floor of that old building making only spinet, console and studio pianos and then gradually took on the 2nd, 3rd and 4th floors. GB: Your reputation must’ve preceded you because you were the only piano to be sold along side of Steinway in the Steinway Showroom in the 80’s. CW: I remember getting the call when they placed their first order for 26 pianos. GB: So what is it about your pianos that make them unique? What makes them such high quality instruments? CW: Back when I was working for Conn, we were striving for what is called “smooth inharmonicity”. A gentleman by the name of Paul Bert calculated string scale design and as mentioned, I was working in soundboard experimentation. The research facility at Conn allowed us to approach sound from a scientific means as well as one that is musical. 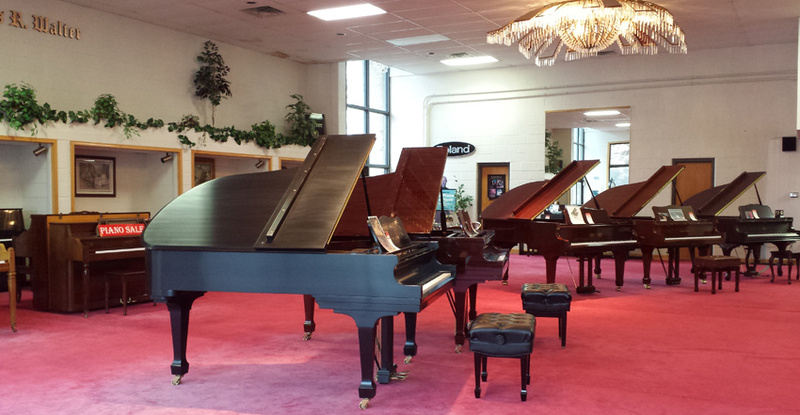 Many years later with the help of designer Del Fandrich, we added 2 models of grand pianos to the line as well. GB: In piano tone, the fundamental is the “base” of the note that one would describe as the pitch of a given note and the harmonics are the other “overtones” which are the frequencies singing above that. When you say smooth inharmonicity, are you speaking about making the harmonic ring of the piano more pleasing to the ear? CW: Yes, correct and we also worked at uniformity in the piano so that as you transition from note to note, section to section, it was also smooth. GB: I’ve played your pianos and they are truly lovely to listen to. RD: You achieve a high quality instrument by design (which my father had lots to do with obviously) but also the combined effect of high grade, top quality parts. For example, we have our cast iron frames made here in the USA at OS Kelly in Ohio. We use Delignit pinblocks. When it comes to soundboard material, we only order top grade. 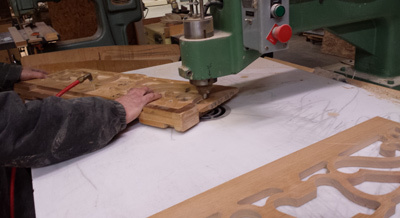 Most components of our pianos have solid wood core instead of pressboard or MDF. Our bass strings are the top Gold series from Mapes. 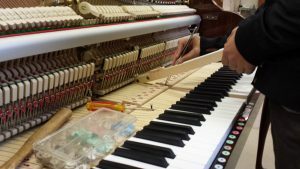 Each piano has individually weighted keys meaning that it’s not just formula, we actually go through and weigh each key to balance it correctly. And speaking of keys, our uprights have longer keys than most, which allows for greater control with regards to piano touch. 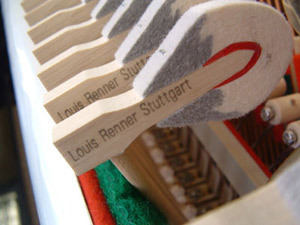 GB: Looking at your pianos, there’s something else that sets them apart. RD: Yes, that’s because they’re finished in lacquer. Our hand-rubbed lacquer is durable and looks less “glassy” and more natural on wood. 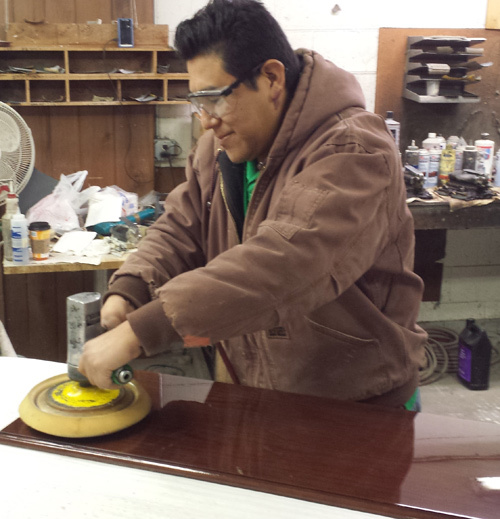 One of the advantages of working with lacquer is that it’s much easier to touch up or repair which just means that our pianos can look better over the long period of time. GB: And your designs are very natural looking American designs. Who did those? RD: Well actually those again were my parents’ designs. My mother, Barbara had a lot to do with designing music stands and it’s all been developed in-house. GB: The combination of natural looking finishes and American cabinetry makes the Charles Walter pianos look like they could fit so comfortably into any home. GB: Tell us about the touch of your pianos. CW: We offer 2 options – We have our Walter action as well as the option of a Renner action. GB: We did an interview with Renner some time ago and they’re known to be the best actions in the world. CW: We mainly use Abel and for an even softer tone we turn to Ronsen (an American hammer maker) upon request. GB: You have different facilities than the old Elkhart building correct? CW: Oh yes. In 1995 we moved to another building here in Elkhart. Hard to believe that’s already over 20 years ago. GB: And what has changed over the decades with the advancement of computers and technology? RD: Well… nothing really. 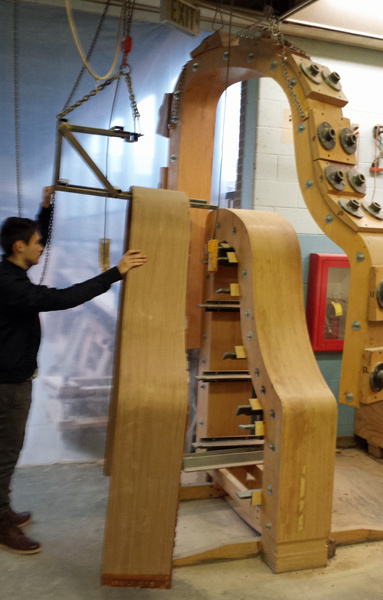 We still build pianos by hand like we always have. We added a stringing machine because our guy here who was putting the strings on was getting a sore arm. GB: Hah that’s great. It’s wonderful to know that piano manufacturing still functions like it has for over 150 years in a workshop making each component by hand. RD: It’s been the Walter way of life really – earm arked by hard work. When I was growing up, my first job was as a floor sweeper. There was none of that “oh you must be the boss’ daughter” privilege. There were no favours here, let me tell you. And each summer, we had a new summer job in a different department of the factory. As family members we’ve all had parts to play in the business. Currently 11 family members – a mix of full and part time workers still work at the factory and we have 3 generations represented here. GB: Well thank you for taking the time especially at Thanksgiving when it’s a busy time of year. RD: Yes, it was our pleasure. My parents are having no less than 70 people over for Thanksgiving. GB: WOW! That’s a big ordeal… especially considering that Mr. & Mrs. Walter are in their 80’s! That’s fabulous. It was truly a pleasure speaking with both Rachel and Charles Walter. They’re honest, hard-working Americans who take pride in their work. They are wonderful people who build lovely pianos and in my talks with them over the past few weeks I have found that they have a deep commitment to faith, family, community and the art of building pianos of excellence… and it shows.